into the small candlelit church. for a volunteer to lead us in a last song. our pockets and faith were on empty. and began singing Let there be peace on earth . . .
and when the last note ended, we remainded still. I remember—let it begin with me. Mary Jo Balistreri spent most of her life in music, performing as a concert pianist and harpsichordist, and teaching private lessons. When her grandson died in 2005, she turned to the music of words, not only to transcend grief, but to give witness to the life of this child. Since then, Mary Jo spends as many hours writing as she once did practicing. Her uplifting, joyous poetry has been published in numerous journals and she was nominated for a Pushcart Prize in 2006. Today, poetry is her life-affirming passion, her way of living and feeling life. 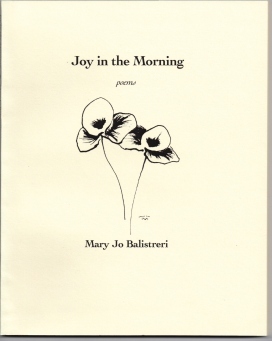 Learn more about Mary Jo at www.maryjobalistreripoet.com. Exquisitely poignant and touching all the senses with warmth and hope - Thank you, Mary Jo! This was absolutely beautiful. The words came to life before me and still linger now. I feel them everywhere...in this room and inside me. Music flows through Mary Jo's poetry, as it does through her! I am always uplifted by her skill with details and images that stay in my mind. A perfect way to start thinking about what really matters at this time of year! As I read the poem, I felt as though I were floating on the tide. The images of air humming with promise and the scent of cut pine fill my own air space. Only we can make a difference. Thanks, Mary Jo! With every word, I am transported to a whole new world. The words fade and I am there. I feel the cold, sharp wind, smell the fresh pine, taste the cinnamon in the cider, hear that wobbly little voice and feel the heavy, warm blanket of peace surround me. You are soooo gifted!!!! Jo, I'm so glad the world gets to see this poem today. This is just one of those poems that the world truly needs. My favorite part: I watch white flakes spark the cobalt sky and the memory of that long ago song flickers and catches fire. Oh, Jo! Your line that ends with "...unsteady at first, grew into the strength of the music while we grew into his..." is so wonderfully conveyed, it is almost physical. I will carry your poem with me through this holiday season and I thank you for this unexpected gift. You set the scene beautifully as your poem unfolds, I can hear the music. Jo, between your lovely words and the stunningly beautiful depiction of the moment and Jayne's words about our times and the holidays we face, I am certainly given pause to reflect. Thank you! While she only quotes five words, this poem builds so skillfully on the shoulders of the Sy Miller Jill Jackson lyrics that the poem is fully infused with the the song. The sum of this poem is much greater than its parts--strong and beautiful as those parts are. Thank you, Jo.